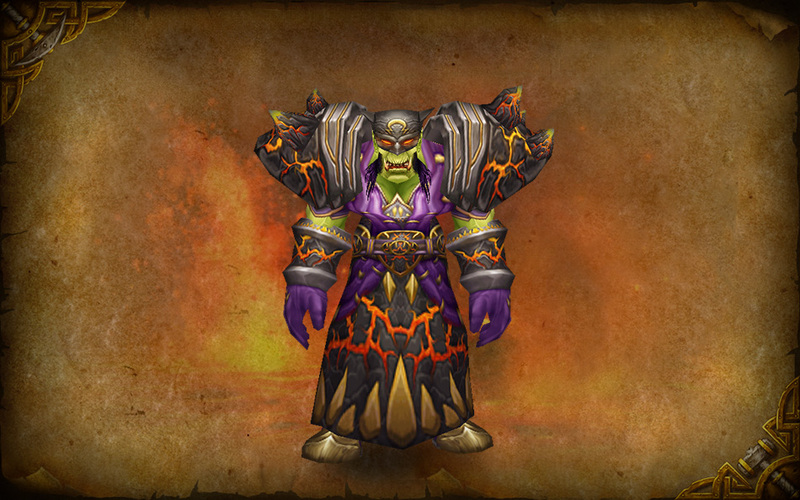 Azeroth’s mightiest protectors have defeated a seemingly endless procession of memorable foes over the years, and while the legions of heroes have since moved on to more pressing threats, those old foes from the past still brood in their lairs. There they sit, lording over their loot, agonizing over their defeats, just waiting for a chance to unleash vengeance. And you can head back into their strongholds to put them back in their place. Lore - Running past raids and dungeons is a great way to catch up on lore and have experiences that you might otherwise have missed. 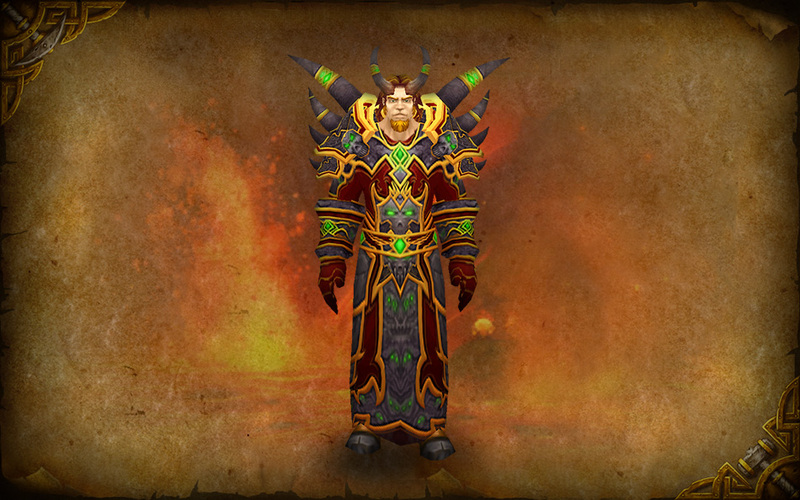 Transmogrification - Even if the gear itself doesn’t offer any power to a max-level character, set pieces and random drops from older raids can fill out your wardrobe of Transmogrification items quite nicely. 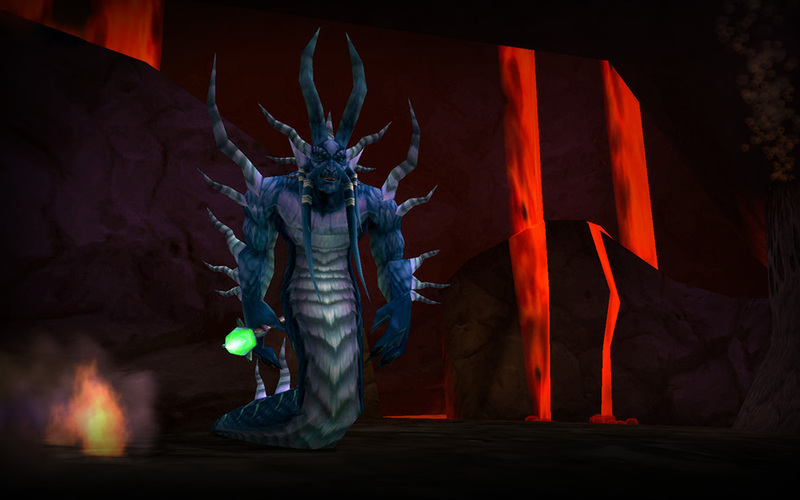 Pets – A number of older bosses now have a chance to drop Battle Pets that you can collect or cage and sell. Mounts - Many players dive into old raids specifically to pick up rare mounts, such as the much sought after Ashes of A’lar. Tip: Keep in mind that some mounts, such as Mimiron’s head, will only drop from specific versions of an encounter or when certain conditions are fulfilled, so be sure to read up and plan accordingly! 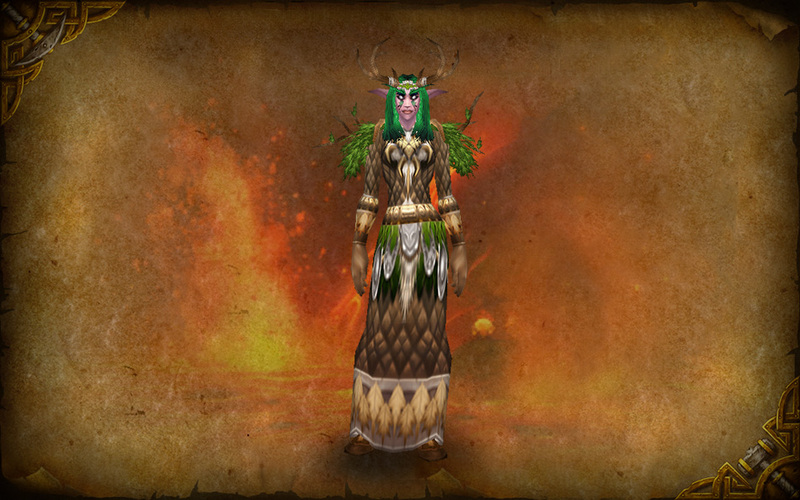 Reputations - Some players use old school raids as a way to bolster their list of Exalted reputations for achievement titles such as Exalted and Beloved. Fun - Perhaps most importantly, it can be great fun to explore the environments that are featured in older content, or play up the fantasy of being the lone adventurer exploring an enemy’s fortress, facing down hordes of bad guys, and standing against the odds to defeat a great evil. Often music and environments are exclusive to certain Raids, and there’s nothing quite like experiencing the art in its original context. Going it alone can also allow you to take your time and let you to take in the sights when that isn’t always possible if a group is waiting on you. 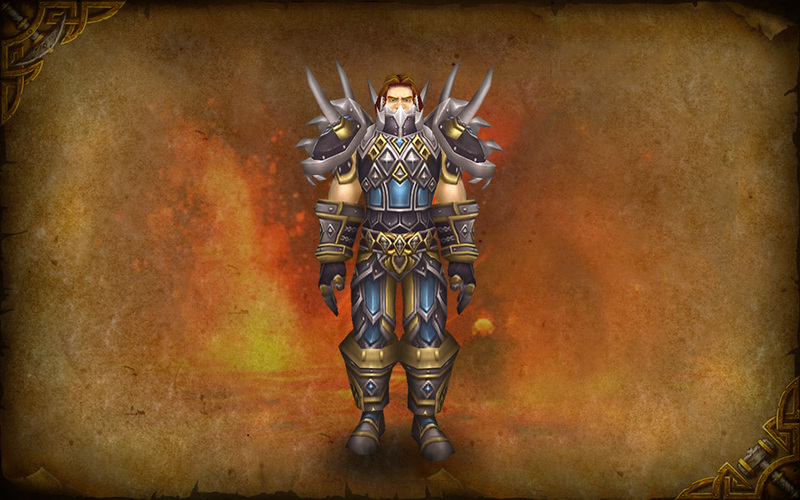 As a level 90 character, you should be able to beat most Raid encounters from classic through Wrath of the Lich King without breaking a sweat. If you’re particularly well geared and have the right class tools at your disposal, even Cataclysm encounters might be possible. Gear, class abilities, and individual skill all play a significant role in what you can actually handle. 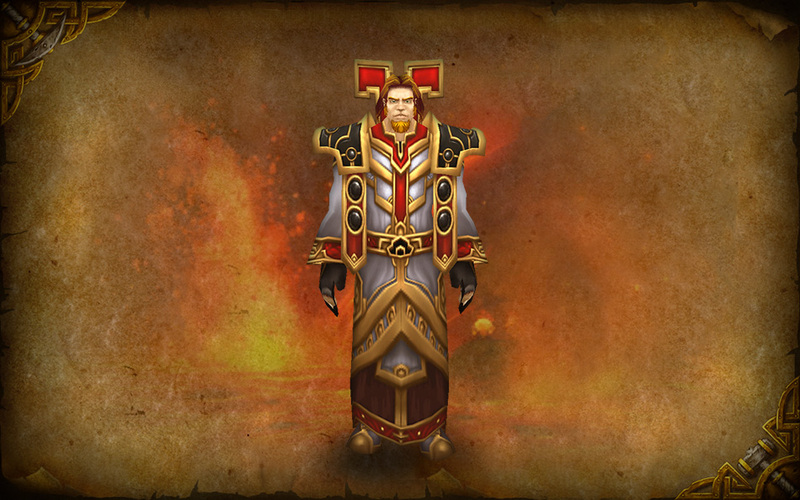 Please keep in mind that World of Warcraft isn’t balanced with soloing past raid content in mind, so some classes might be better suited to the task than others. You might want to bring a friend along if a particular encounter is proving too much for you to handle. That said, it can add to the fun and challenge to see what you can do on your own. 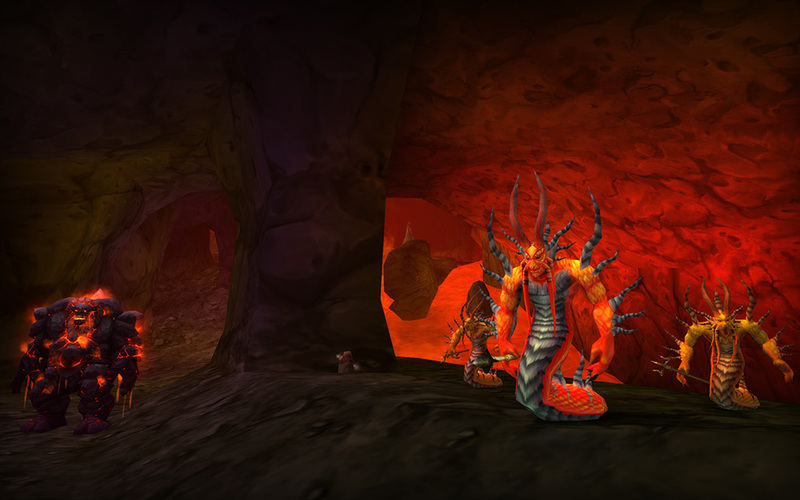 The Molten Core lies at the very bottom of Blackrock Depths. It is the heart of Blackrock Mountain and the exact spot where, long ago in a desperate bid to turn the tide of the dwarven civil war, Sorcerer-thane Thaurissan summoned the elemental Firelord, Ragnaros, into the world. 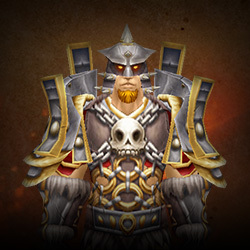 Though the Firelord is incapable of straying far from the blazing core, it is believed that his elemental minions command the Dark Iron dwarves, who are in the midst of creating armies out of living stone. 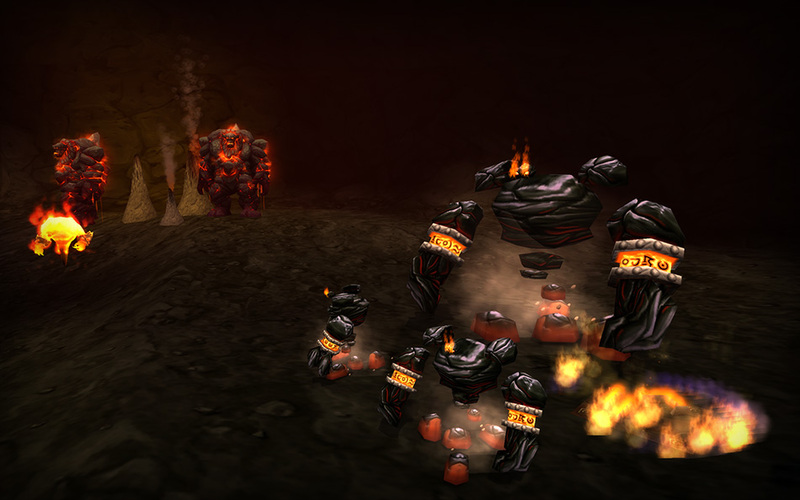 When it was first introduced, huge amounts of fire resistance were required to make progress in Molten Core. In addition, a great many of the foes within were immune to fire damage.. 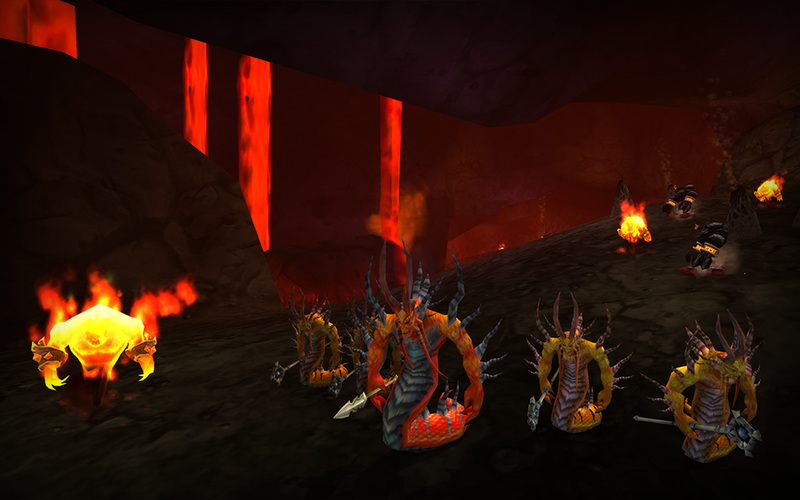 Molten Core was almost cut from World of Warcraft. To keep it in, developers finished working on the dungeon in a single week. Jeff Kaplan did all of the spawning and creature placement, while Scott Mercer designed all of the boss fights. Bob Fitch worked up loot for the dungeon, and Pat Nagle (sound familiar?) created the Hydraxis quest line. 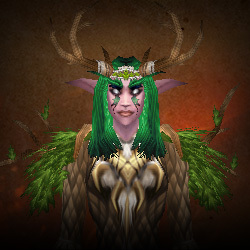 It was Alex Afrasiabi who doomed female Tauren to never be able to jump through the entrance that was patched in later on… you venture to when you decide to explore older raids. 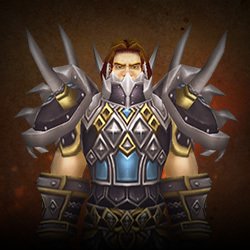 Because it’s a level 60 Raid, any level 90 character will be able to make short work of the enemies you’ll find within (and some classes can attempt soloing the zone much sooner than that). Sometimes the devs needed to get creative to make certain effects possible. Triggers needed to be placed in the dungeon for each of the runes that would activate when a boss was killed. For a trigger to exist, it had to be attached to an NPC, so each of those triggers was an indestructible rat that sat on the rocks behind where Baron Gedden roams..
'Trash mob' is a common moniker for non-boss creatures in a Raid.’ monsters in the Instance. 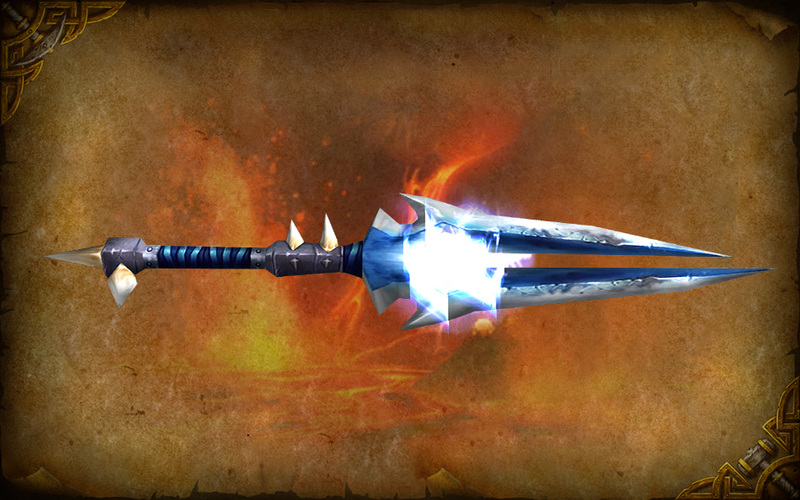 Two classic Legendary weapons can be obtained in Molten Core, though the process is far from straightforward. The different elemental bureaucracies don’t get along, and Neptulon’s servants, including Duke Hydraxis, hate Ragnaros and his armies. As they say, ‘The enemy of my enemy is my friend’ and sometimes the old adage proves true. 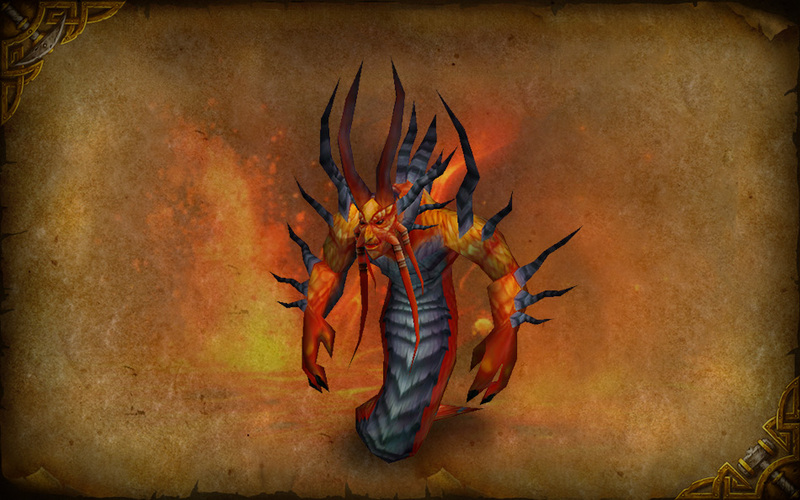 Thus, slaying enemies within Molten Core increases your faction with the Hydraxian Waterlords. While Duke Hydraxis and his elementals are no longer present on Azeroth, they still appreciate your efforts in taking down the Firelord and his minions. 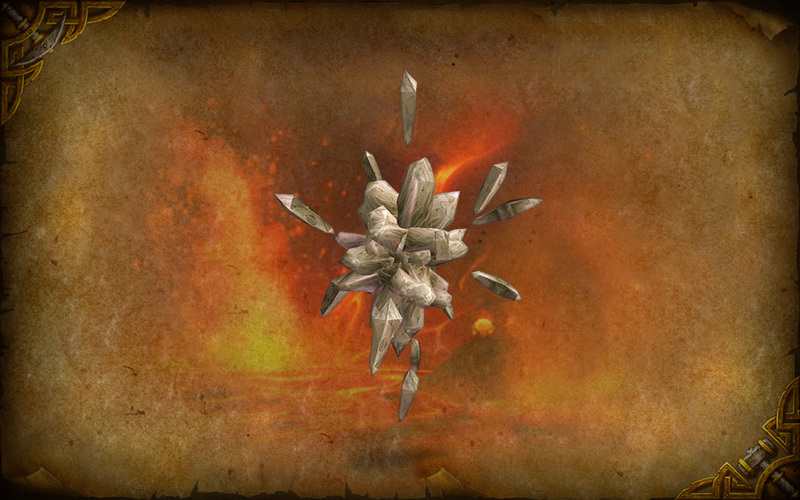 Originally, Blackrock Mountain was a single dungeon. It was eventually split into three different instances. 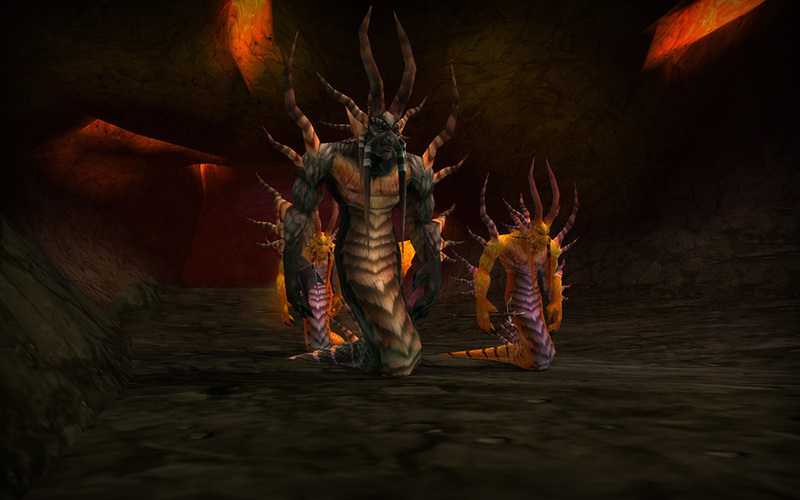 One early design concept that was eventually scrapped involved having to clear one of these dungeons to reach the Molten Core raid zone., which is found nestled between two zones in the Eastern Kingdoms. The zone entrance can be a bit tricky to find if you’ve never been there, though. 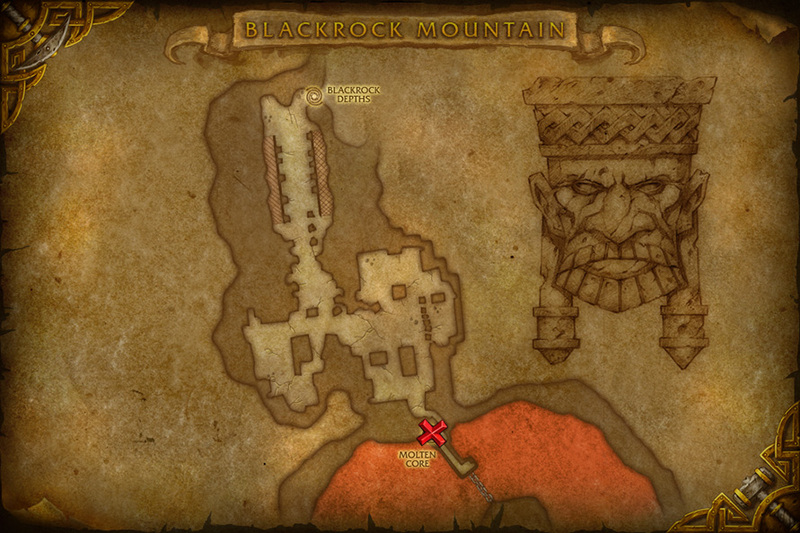 There are two entrances to Blackrock Mountain. One in the southwestern part of Searing Gorge near Iron Summit and one in the north western part of the Burning Steppes near Flamestar Post. 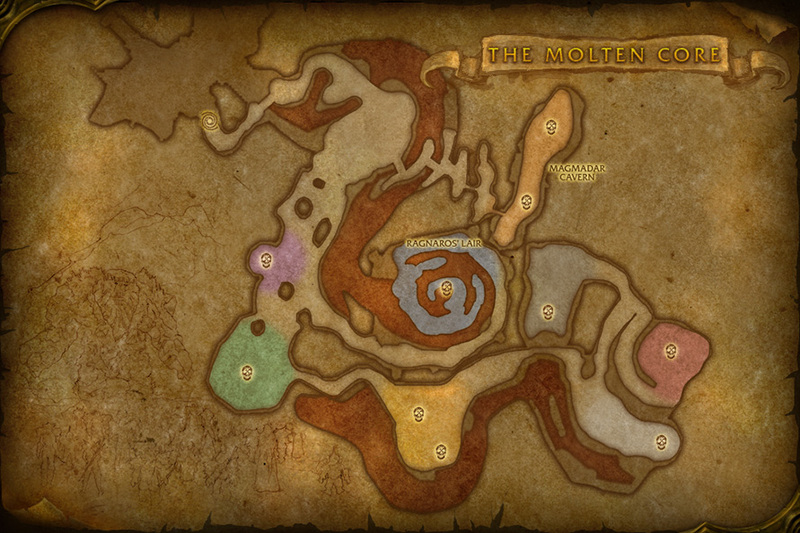 If you open up the map while within Blackrock Mountain, you’ll note that there’s a center section of magma divided by chains and platforms, with an island in the middle that can be reached by the massive chains that are suspending it over the magma pit below. 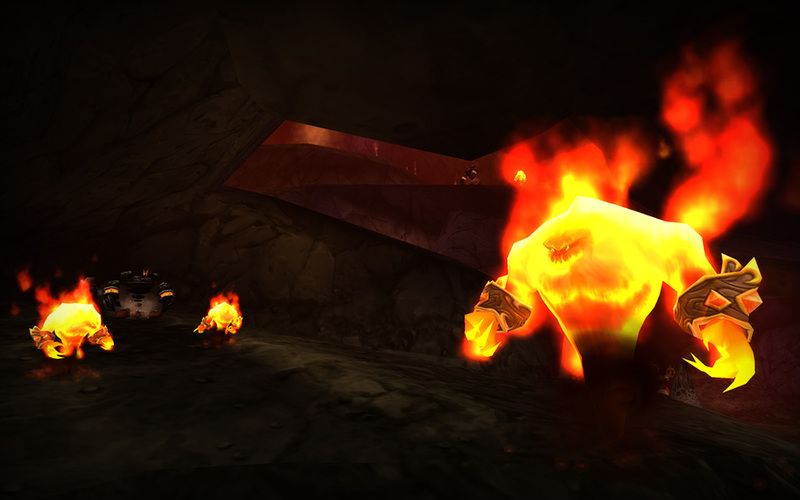 The entrance to Molten Core is at the northwest ‘spoke’, very close to the door you need to walk through to reach Blackrock Depths, down close to the magma. Fly down, climb the chains down, (or jump down into the magma and walk up the stony ramp that’s on the north side of the chain), and speak to Lothos Riftwalker. He’ll offer to transport you to the Molten Core. 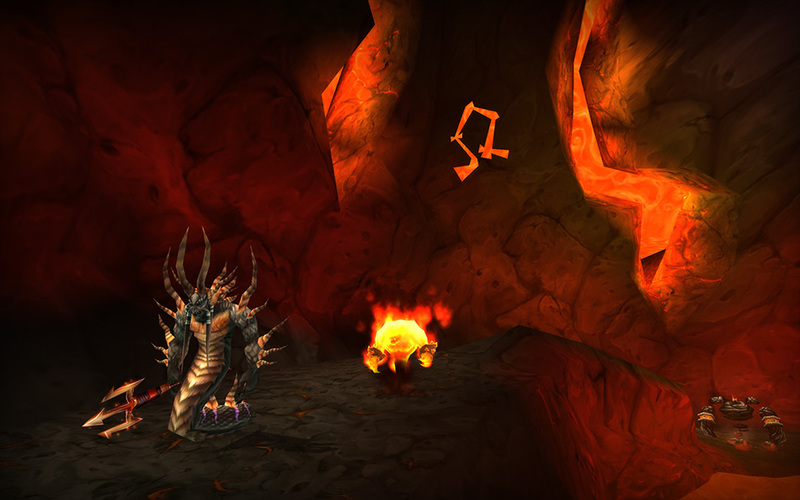 The cavernous lava tubes of Molten Core are not quite as linear as more recent Raid designs. As a result, you’ll need to do a little backtracking here and there, but you shouldn’t have too much trouble finding your way around. None of the enemies you’ll face here will pose much of a threat to a level 90 character. If you’re an Achievement hunter that’s after reputation, then you might consider gathering them into groups and taking them down en masse, since kills within Molten Core will grant you reputation with the Hydraxian Waterlords. 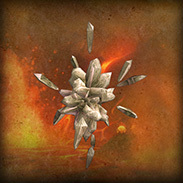 Some creatures also drop materials that can be used to forge both Legendary weapons, as well. 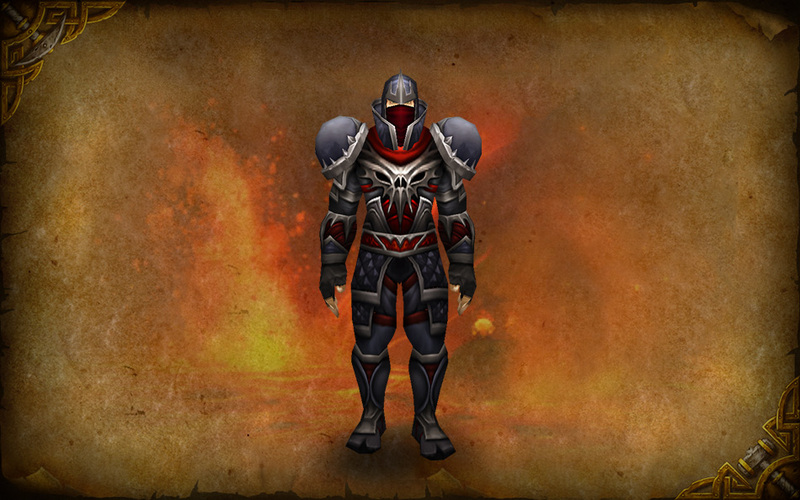 Finally, killing the various elementals that inhabit the Core offers you a chance to pick up Bind on Equip Tier 1 wrist and belt items for your own Transmogrification sets, or to sell on the auction house. 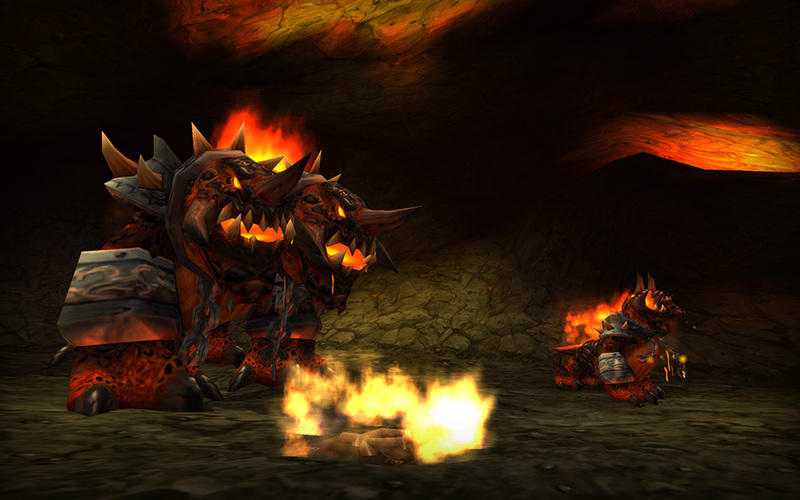 Molten Core is filled with the fiery minions of Ragnaros, including magma giants, Flamewakers, fire elementals, and an exceptionally large Core Hound. Head inside, and dodge around the various fire and stone elementals you’ll find waiting for you, then veer left over the small island and bridges. After passing through two small chambers, you’ll find yourself in Magmadar’s Cavern. 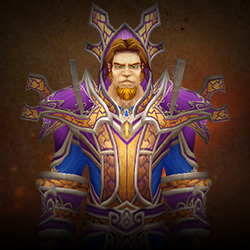 Lucifron – Lucifron is a prominent member of the diabolical looking Flamewaker (not FlamewaLker) elemental race. 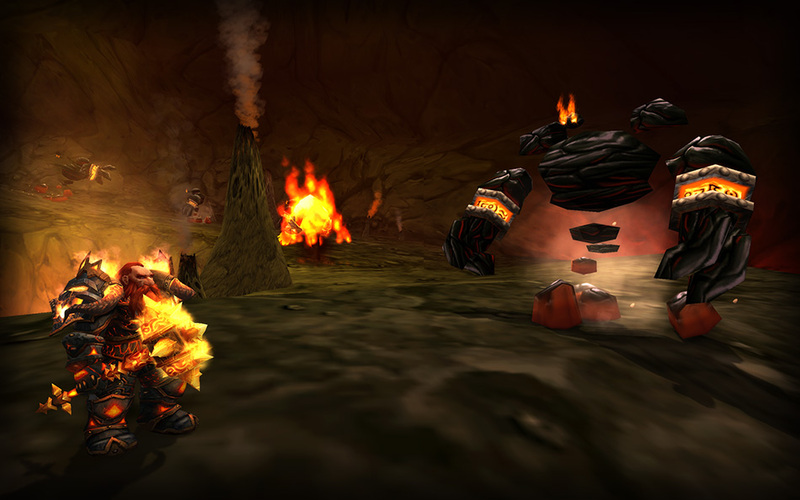 You’ll find him surrounded by packs of Core Hounds, as he patrols with a pair of Flamewaker Protectors within Magmadar’s Cavern. Lucifron’s Curse lasts for 5 minutes and increases spell and ability costs by 100%. Potentially inconvenient if you don’t have a means of dispelling it. Tip: You probably don’t need to fight the Core Hound packs at all, but if you do, be sure to kill them all around the same time, or any remaining Core Hounds that are still alive after 10 seconds will cause nearby slain Core Hounds to return to life. Magmadar – Who knew that Ragnaros was a dog person? Magmadar is a Core Hound of unusual size. His only ability of note to high level characters is Panic, which incites an 8 second fear. Pet hunters, take note! 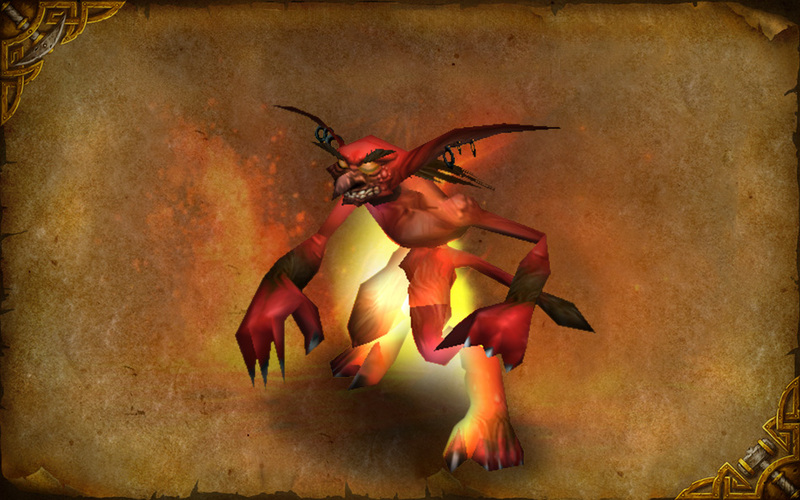 Magmadar has a chance to drop the Blazing Rune, which will add a Corefire Imp to your pet roster. After you put down Magmadar, head out of his cavern, then veer down and to the left. You’ll find Gehennas and his pals lurking in an alcove on the right. Gehennas – Another of Ragnaros’ Flamewaker servants. He’s accompanied by a pair of Flamewaker Elites. While it probably won’t represent much of an inconvenience, keep in mind that his curse reduces healing by 75%. Now that Gehennas has been laid low, proceed further into the Core past a number of Molten Destroyers to find Garr and a slew of small followers toward the south end of the cavern. 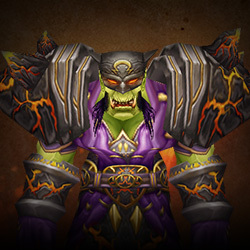 Garr – One of Ragnaros’ lieutenants, Garr is a massive obsidian elemental, ringed by eight Firesworn servants. If you’re after Thunderfury, Blessed Blade of the Windseeker, you’ll want to keep in mind that he has a chance to drop the right half of the Bindings of the Windseeker. His Firesworn will explode when slain, which causes a knockback. Put your back up against a wall to ensure that you aren’t hurled into the midst of the other creatures in the chamber, if you left any of them alive. Any luck on those Bindings? No? Okay, well, head east into a smaller tunnel toward the chamber where Shazzrah awaits you. You’ll also find Baron Geddon roaming through the area. Baron Geddon could once cast his Living Bomb ability on pets, which could then be dismissed before it went off. Dismissing the pet did not remove Living Bomb though, which resulted in exciting times in the Auction House when the afflicted pet was summoned again…, but if you’re experiencing any issues, you can pull him back to the Hallway you emerged into his area from, so the ceiling reduces the height you can be knocked up, and thus the damage when you fall. Shazzrah – Unlike the other Flamewakers in Molten Core, Shazzrah is blue. He’s also a talented Arcane spell caster once feared for his Arcane Explosions. After making short work of Baron Geddon and Shazzrah, you can head up over a narrow path. If you peer down the drop off to the left, you’ll see Golemagg the Incinerator along the way, but let's visit Sulfuron Harbinger first. Sulfuron Harbinger – A high ranking Flamewaker, and Ragnaros’ herald. He’s accompanied by four Flamewaker Priests. Dropper of the much-reviled Vendorstrike. Of note, Sulfuron has a much more desirable drop: the Mark of Flame, which will add the Harbinger of Flame to your pet roster when learned. Now then, remember that ledge you saw Golemagg from? Let's head back that direction. 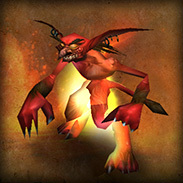 Golemagg the Incinerator – While there are many molten giants in Molten Core, Golemagg is the greatest of them. He’s certainly the giantest. You’ll find him accompanied by two pet Core Ragers. You should focus on Golemagg himself though, because until Golemagg is slain his loyal pets will refuse to die, healing back to full health once they are dropped to below 50%. Battle Pet hunters! When you cut Golemagg down to size, you could recruit an Ashstone Core from the Core of Hardened Ash he drops. After taking out Sulfuron and Golemagg, head up the path to the northeast that leads to the raised area where Majordomo Executus and friends wait for you. 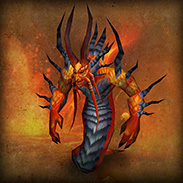 Majordomo Executus – Majordomo Executus won’t appear until after you’ve cleared out the other bosses inside Molten Core. He accompanied by four Flamewaker Healers and four Flamewaker Elites, and you’ll need to slay all eight to defeat the encounter. 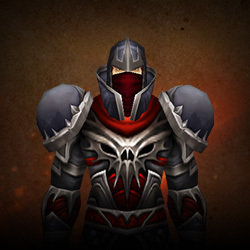 Executus himself is something of a coward, and will submit once you’ve defeated his companions. 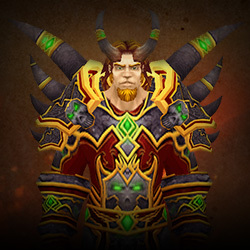 Don’t forget to open the Cache of the Firelord, since you won’t be looting Executus’ corpse. Time to backtrack. After Executus comes to a gentleman’s (gentlesalamander's?) agreement with you, it’s time to head back to Ragnaros’ Lair. Once you arrive, you’ll need to speak with Majordomo Executus again, and he’ll obligingly wake up Ragnaros from his nap, like Azeroth’s worst alarm clock: Too soon. Remember those rat rune triggers? To get Ragnaros to behave as they wanted him to, the devs added another invulnerable rat trigger in Ragnaros’ lair. If you stand in just the right spot, you can still see him. himself. 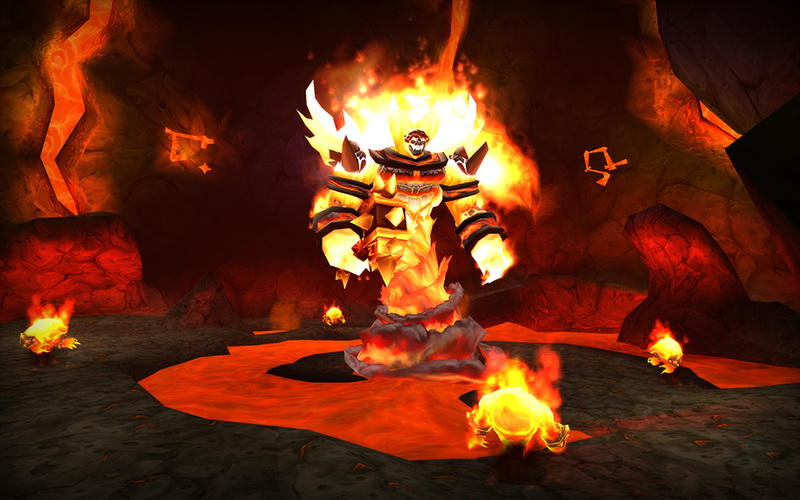 Ragnaros the Firelord is an incredibly powerful fire elemental lord, but you’ll be facing him in a vastly weakened state within Molten Core. 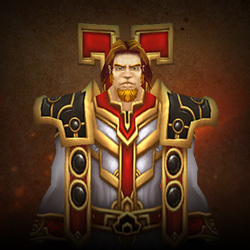 You’ll no doubt defeat him here, but he returns to threaten Azeroth again from within the Firelands. Keep in mind that Ragnaros will knock you airborne, and thus can represent something of a threat even to high level players. If you’re in the market for Sulfuras, Hand of Ragnaros, then keep your eyes peeled for the Eye of Sulfuras among the items he drops. 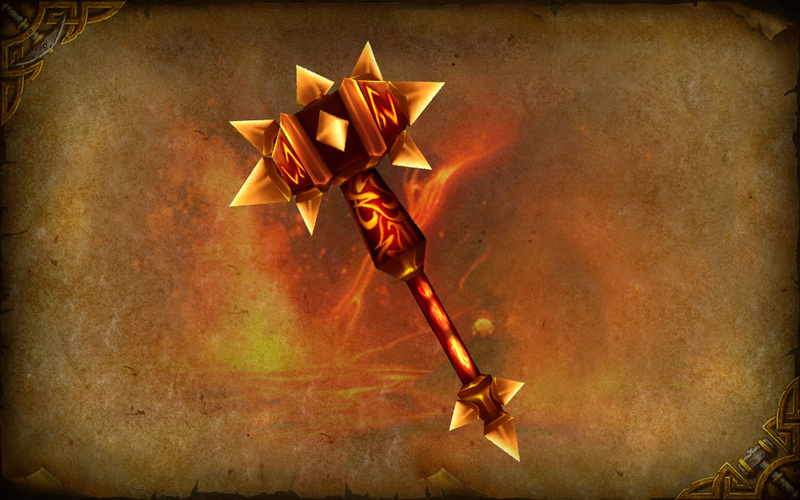 Combining the Eye with a Sulfuron Hammer will reward you with the Legendary hammer. 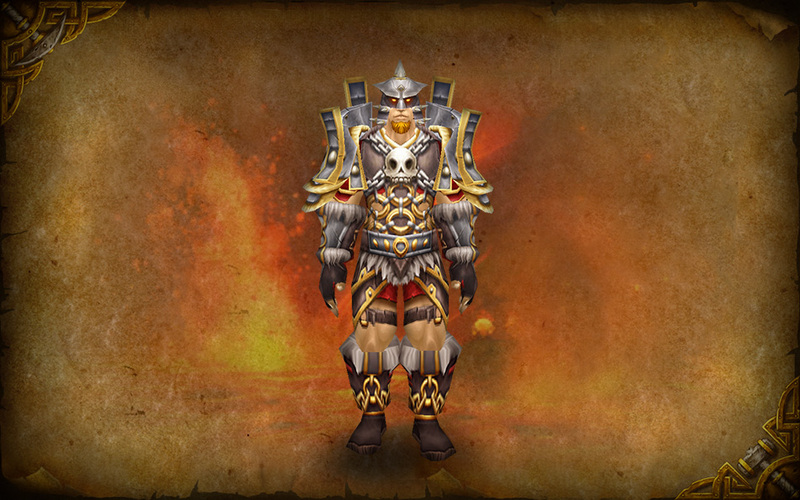 Ragnaros doesn’t drop any Tier 1 armor, but if you want to complete a set of Tier 2 raid gear for Transmogrification purposes, Ragnaros is where you get the Tier 2 leg items. Tip: You’re unlikely to get every drop that you’re after on a single run. Molten Core resets weekly though, and you can return to try again. You can check the status of your raid lockouts by opening the social pane (default key ‘O’), selecting the Raid tab, and then clicking the ‘Raid Info’ button on the upper right. Upon defeating Ragnaros and watching the great hammer Sulfuras dunk itself in his magma pool, your journey is over. 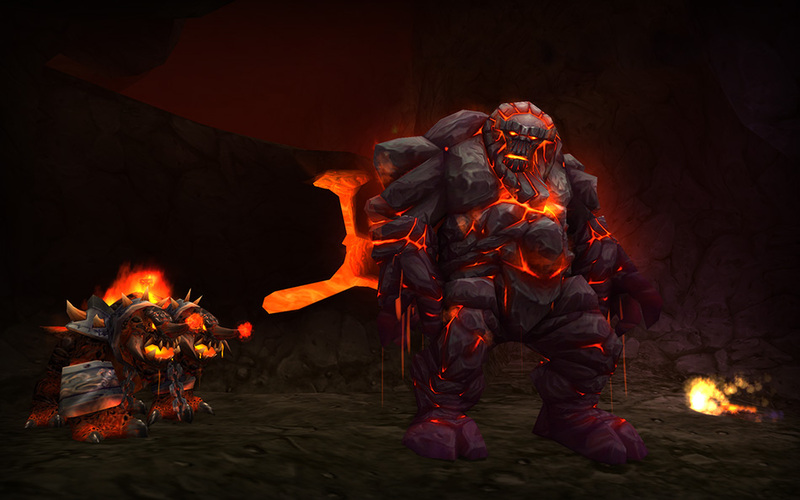 That wraps up our walk-through of Molten Core, but that’s not the end. We’ll be pointing out the highlights of more older raids in the future. 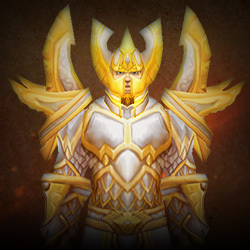 In the meantime, have you visited Molten Core recently, and if so, what were you there to achieve? 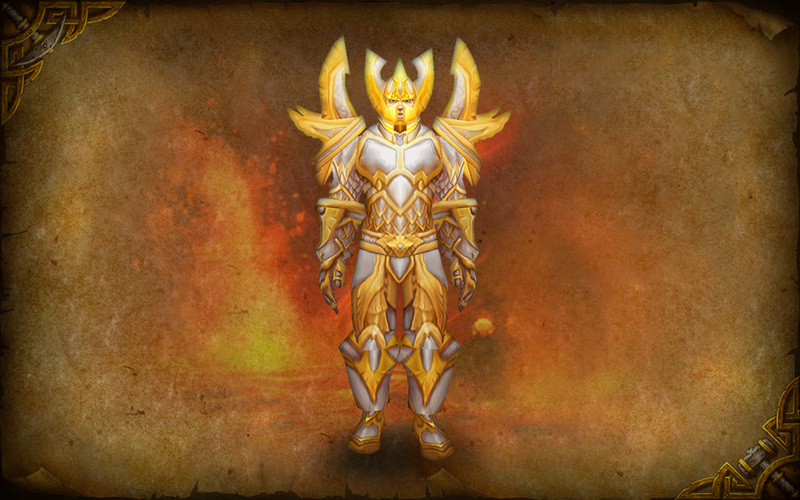 Do you have any tips or warnings for players who might be attempting Molten Core below level 90?